New Hampshire officials say the suspect involved in a police shooting in Hampton on Tuesday afternoon has died. The names of the two officers involved in a fatal police-involved shooting at a New Hampshire State Liquor Store in Hampton last week have been released. 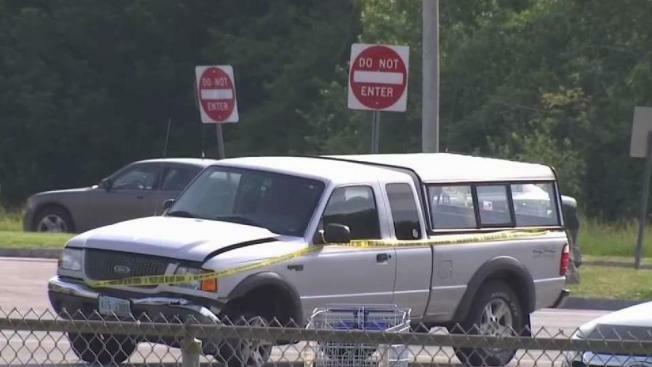 According to state Attorney General Gordon J. MacDonald and New Hampshire State Police, the state troopers who discharged their weapons on June 13 were Sergeant Keith Walker and Trooper Erik Willett. Walker has been part of the New Hampshire State Police for 19 years while Willett has been a member for five years. Both troopers are assigned to Troop A State Police Barracks in Epping and are on paid administrative leave pending the conclusion of the ongoing investigation. The troopers had responded to the liquor store on Interstate 95 southbound after Portsmouth police had issued a "be on the lookout" for Barry Jones, 36, of Portsmouth. Police said Jones was intoxicated and took his neighbor’s silver Ford Ranger pick-up truck. Authorities also said Jones was armed with a handgun and had pointed a weapon at an individual and allegedly wanted that person to drive with him to Lawrence, Massachusetts, to get some drugs. After Jones crashed the truck, he continued onto I-95 and ended up at the liquor store, where he was spotted by the troopers. It was there that there was some kind of encounter between him and the troopers and a discharge of weapons occurred. Jones was shot and taken to Portsmouth Regional Hospital, where he later died. The exact circumstances surrounding the incident remains under investigation.